Meditation is no longer the exclusive domain of yogis and seekers. 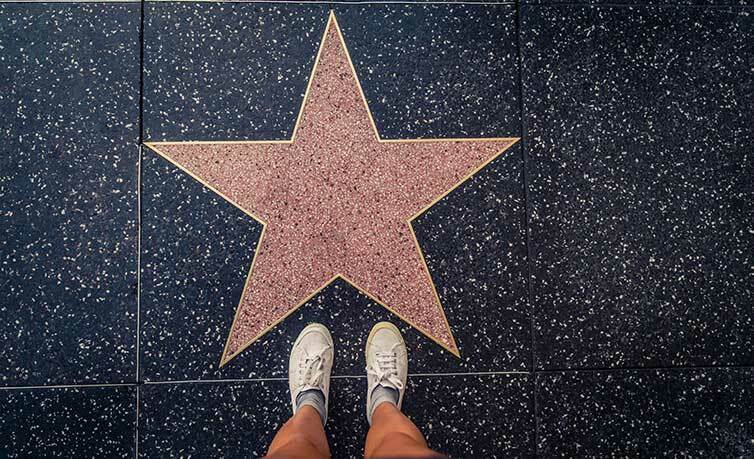 Many ordinary folk are embracing the practice – and so are celebrities. Famous people get as much out of sitting as the rest of us: peace and tranquility, enhanced creativity and insight, better control of emotions, general well-being… and the A-list goes on. Still, we’re all a wee bit fascinated by the rich and famous. Ever wonder which ones are meditators? Here’s a brief sampling of the many famous folk who swear by the benefits of their practice. International film star Michelle Yeoh, named the “#1 action heroine of all time” by Rotten Tomatoes, was born to a Buddhist family in Malaysia and has always maintained her spiritual practice. A great philanthropist and ambassador for humanitarian efforts, Yeoh speaks easily of Buddhist philosophy and its place in her life. “As a Buddhist, your family is not blood-related, the whole world is your family. It is enlightenment that you practice upon,” she once stated in an interview. American hip-hop pioneer and co-founder of Def Jam Recordings Russell Simmons meditates! The entrepreneur loves sharing his appreciation of meditation with others. He believes that meditation makes people happier and allows them to connect with the world. He refers to it as “the most beautiful gift” and an effective tool that can help us achieve our dreams. “It has given me energy, strength, health, wisdom, and access to my own inner stillness, inner silence, inner bliss. It is my connection to myself; it is my connection to the universe,” Simmons has said. Just like David Lynch, Seinfeld has been practicing Transcendental Meditation for over 40 years. Seinfeld, notable for his likeable personality and great wit, believes that meditation allows us to take things easy. He once likened meditation to having “a charger that charges your entire mind and body” and says he owes his career in television – and his good nights’ sleep – to meditation. NBA legend Michael Jordan learned to meditate under the guidance of mindfulness mentor George Mumford, who was invited by supercoach Phil Jackson to work with the Chicago Bulls in the 1990s. According to an article in the Huffington Post, “Michael Jordan said ‘that Zen Buddhist stuff’ really works! But [Mumford] didn’t teach Michael to push distractions away, but instead to embrace them, to become fully aware, noticing and observing everything around him, and then to let it all go; stepping out of his own way and taking the perfect shot.” And the rest is history. The British actor and comedian has been meditating since 2009. He admits to being an erratic thinker who is full of energy and adrenaline. After he meditates, however, he is filled “with a beautiful serenity and selflessness.” Brand, who leads “tantric meditation practice” in a yoga studio in West Hollywood, believes that spiritual practice, whatever the form, can benefit everyone. If these celebrities can find the motivation and time to meditate, so can you! Wondering how to get started or enhance a practice you’ve already got? Our Mindworks: Meditation App has it all: guided meditations, clear instructions, inspirational readings and modules for specific purposes, such as dealing with stress. Let yourself be guided by our team of eminent meditation teachers from the world over… and have a seat.